The puppy on this adorable little CHARM IT! Puppy Charm cannot wait to be your friend and travel with you on your charm bracelet. 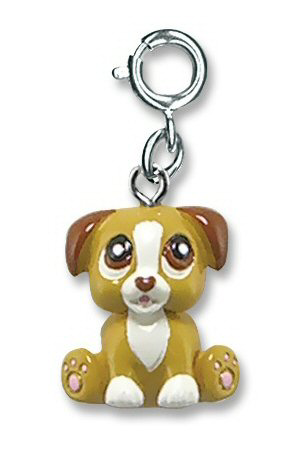 With big, sweet eyes and a tan body with white accents, this delightful Puppy charm is 3-dimensional fun for your charm bracelet. With a simple snap of a clasp, girls can personalize their CHARM IT! jewelry with this adorable CHARM IT! Puppy charm. Plush Pug Howler has soft frosted tan fur, dark brown accents, a short floppy tail, and sweet black eyes.